Live the real Sahara Nomadic life. 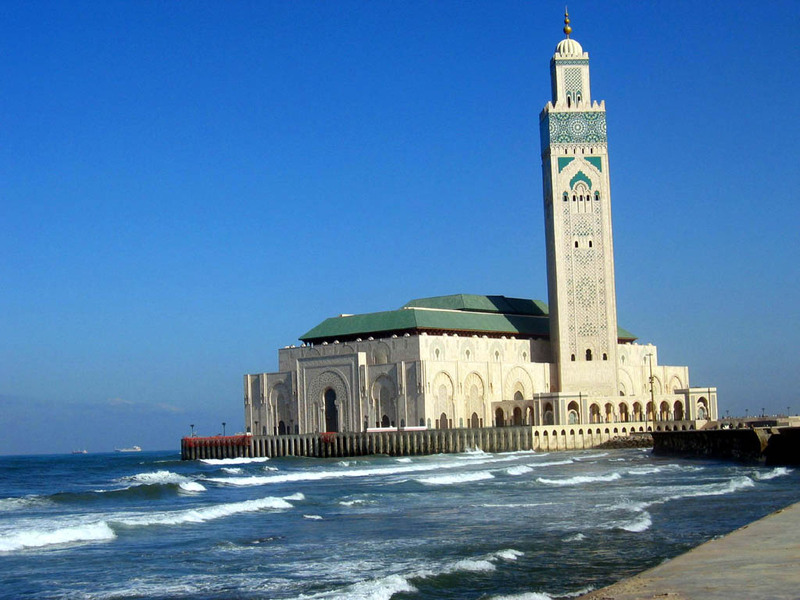 We will pick you up from your Hotel in Casablanca and then drive towards Rabat, the beautiful Moroccan Capita. We will introduce you to the lovely modern city, discovering its magnificent Hassan II tower, and fascinating historical sites. Then, we will start our excursion towards the blue Chefchaouen, through the mesmerizing views of the Rif Mountains and the captivating forests. Upon our arrival, we will take you through the captivating Ras El Ma, the most beautiful river, where the water comes gushing out of the mountain. You will be also having some free time, to walk through the blue-washed streets of the Medina, enjoying its calm, and relaxing atmosphere. The town has also an authentic architecture style influenced by the old Jewish culture. During your Chefchaouen excursion, you will discover the most beautiful Moroccan handicrafts, mostly colorful woven items. At the end of our memorable day trip, we will spend the night in a traditional fancy Hotel on the blue street of Chefchaouen. On the second day of our Casablanca Desert Tours, we will leave the pearl blue towards Meknes, the 17th-century old capital. We will enter the city walls to discover a new culture and impressive historical sites, as Bab El Mansour, Sahrij Essouani, The Royal Stables and Granaries, and the underground monuments. Next, we will go towards Volubilis, passing by Moulay Idriss Zerhoun, the holy village. Once we get to the Roman ruins, you will get to discover the ancient history of the Roman Empire, witnessing the most magnificent ruins and majestic surviving gates. Last, we will drive back to Fes crossing the fascinating views of the Moroccan countryside. Drop off at your Hotel/Riad. We will start our lovely morning with a typical Moroccan breakfast, then start exploring Morocco’s oldest city. On your Fes Guided Tours, our team would take you to the mesmerizing Royal Palace, to see its magnificent brass doors, surrounded by fine zellige, and carved cedar wood. Next, we will take you to The Mellah, the first Moroccan Jewish Quarter, and Jnane Sbile Gardens, to get stunned by the perfect natural views and the centered Moroccan fountains. After that, we will wander through the narrow streets of the old Medina, old lined with the most beautiful Moroccan handicrafts. We will be admiring the captivating architecture and the old culture of one of the oldest cities in the whole world. After an unforgettable Guided Tour in the ancient city, we will have our warm Moroccan Soup “Harira” for dinner and then get some rest. On the next Day of our Casablanca Sahara Tours 6 Days, we will drive you towards the spectacular views of the Middle Atlas Mountains. We will continue our way through the green Cedar Forests passing by the Berber village Immouzer, towards Ifrane, “The Moroccan Little Switzerland”. After that, we will be wandering through the Berber town of Azrou and its magnificent Cedar forest, to have some clean air and play with the little tricky monkeys. We will continue to Midlet, the Berber village of Rocks, to taste a typical Berber Tagine for lunch, and know more about the ancient Berber culture. Later on, we will head towards Merzouga, the Golden Gate of the Sahara via Ziz Valley and the dramatic views of Ziz Gorges. Upon our arrival, we will take our camels into the golden sands of the endless Sahara, enjoying the majestic view of the sunset, and the sensational feeling. We will spend the night in a lovely Desert Camp, enjoying the silence of the Desert and staring at the magical night sky. Early in the morning, your camel Man will wake you up to capture the magical sunrise and the golden sands of an endless Sahara. After that, we will go back to our Hotel in Merzouga, to have breakfast and take a warm relaxing shower. We will continue our Casablanca Desert Tours 6 Days towards Rissani, the home founder of the Moroccan Ruling dynasty, we would introduce you to its colorful Souks and ancient culture. Next, we move towards Todra Gorges, to get stunned by the remarkable orange cliffs, making a perfect destination for climbers and adventure lovers. We would also take you through its authentic mosques, colorful lanterns, and famous textiles. The last stop on today’s Sahara Tours would be Dades Valley, a little green paradize hidden in the bare Moroccan desert. We will have our local dinner, and spend the night in a little hotel across the river. On the last day of our Casablanca to Marrakech Desert Tours, we will have our breakfast in the Hotel, then go for a walk in the beautiful valley. Next, we will leave towards Ouarzazate via the Berber village of Skoura. 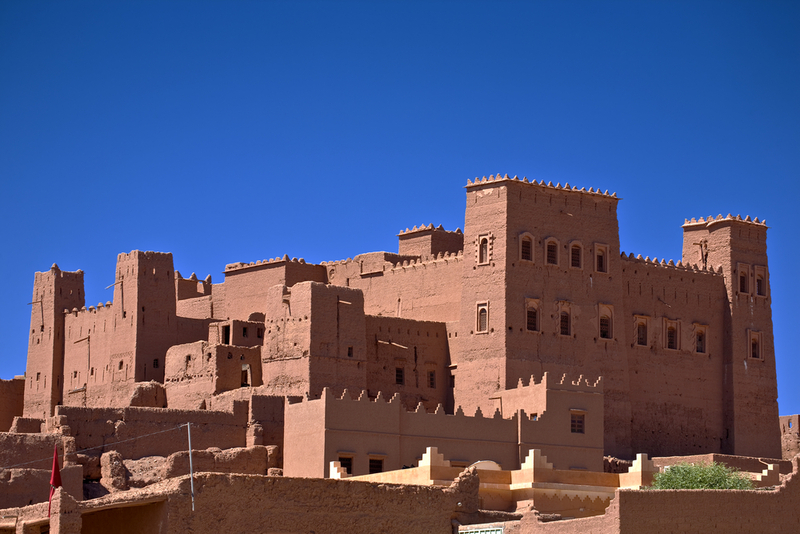 Once we get to Ouarzazate, we will be walking through the colorful old Souks and authentic ancient mud streets. Our team will take you through the magnificent International Film Studio, to see where some of the greatest Hollywood movies and Series were made as Game of Thrones, Gladiator, Babel, The Jewel of the Nile. 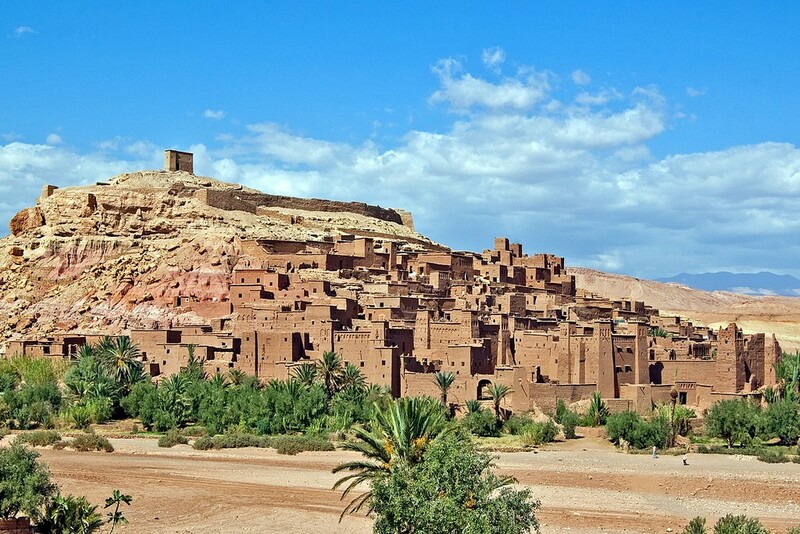 Later on, we will continue to the remarkable Kasbah of Ait Ben Haddou, discovering ancient Royal Palaces, as you have a close glimpse of the real authentic Moroccan architecture. We will have a delicious lunch in a traditional Berber restaurant, to taste the most delicious combination of Moroccan flavors. Then drive through the adventurous roads of Tizi’N Tichka Pass. Last, we will arrive in Marrakech in the late evening, and drop you off at your Hotel. Starting from Casablanca, our team will introduce you to Fes, an old fortified Medina dating back to the 9th century. 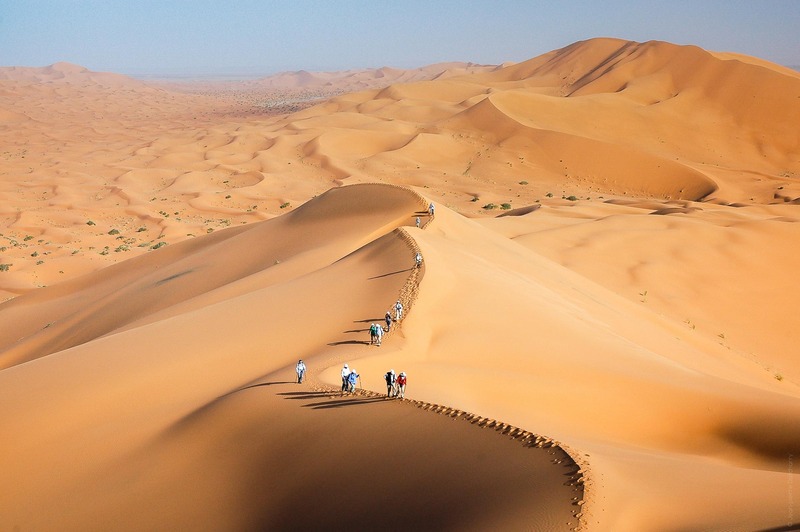 Then, discover Erg Chebbi: the magnificent golden dunes of Merzouga.